Featured Bride Julia's picture perfect day. 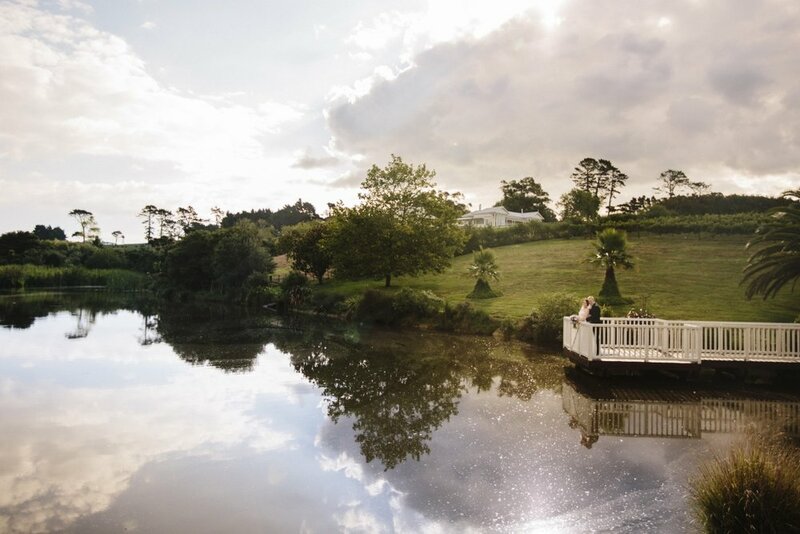 Julia and Brad got married at one of my favourite locations in Auckland - Gracehill Vineyard Estate in Kumeu. Julia said “Brad wanted an outdoor setting and Gracehill is stunning both inside and out. We also share a huge love for food and we had heard great things about the food there.” The couple chose a modern wedding theme incorporating white and silver with a touch of purple. Hearing Brad’s vows – he is a man of few words so he really took me by surprise. I chose the Bonny 223. I LOVED the dress , it was just perfect and I truly felt like a princess. All the staff at Astra Bridal went above and beyond and treated me as more than just a faceless customer. My favourite part of my dress was the sequin layer that glittered through in the sun – beautiful! It made me feel like a princess! I went into the store with my heart set on a totally different dress, but I saw it out of the corner of my eye and I knew it was the one. Everyone is so kind and genuine, they wouldn’t try to sell you a dress that wasn’t right for you. When you’re inside the shop it feels like the rest of the world has just melted away and it’s all about you and planning your special day. Other than your gown what was your favourite item from your wedding? Honestly everything was perfect right down to the smallest details, but I must say the flowers were just beautiful and really tied everything together on the day. Don’t sweat the small stuff. Remember why you are getting married and don’t let the details ruin an otherwise perfect day – not worth it. Whirlwind – amazing but over in a flash. Bridesmaid Dresses: Juliette Hogan Emerson slip in pumice. We didn’t set out to get the dresses from Juliette Hogan. We were looking for silvery grey dresses and weren’t having much luck until we walked past Juliette Hogan. We got very lucky. Mens Suits: All from Hallensteins. Brad isn’t much of a suit man so he wanted something simple and affordable. It worked out perfectly. Hair: A friend of my makeup artist – Kurtis Counsell. He did such a great job. The bridesmaids and I all got very simple low buns for the day and he made the whole experience fun and relaxing. He even cut my hair on the day to get the perfect “bits” to fall around my face – not something I would normally trust someone to do on such an important day! Makeup: My good friend Debby Esperson. I don’t usually like getting my makeup done because it never turns out how I want it, always too dark and the eye makeup too heavy, but Debby knew exactly what I was going for and did a perfect job! The morning spent with her and Kurt was so relaxed, fun and the perfect way to kick off the day. Flowers: Judith from Judith’s flowers – she read my mind about what I wanted. I made a last minute change with the table flowers (wreaths instead of a bouquet) and she brought my dreams to reality. Location: Gracehill Vineyard Estate. In a word: perfect. Stunning grounds, beautiful reception room, the service was impeccable and the manager went out of his way to make sure we all had a great time. Catering: The catering was done by Gracehill. The food lived up to its reputation and was delicious! Stationery: One of our closest friends Taasha Newby designed everything herself. It was extra special having her do it for us. Photographer: Delwyn and Rachel from the Lauren & Delwyn Project – they made us feel so relaxed from the minute they arrived. They were very organised and made everything so easy. I knew I could trust them to do an amazing job. Highly recommend them! 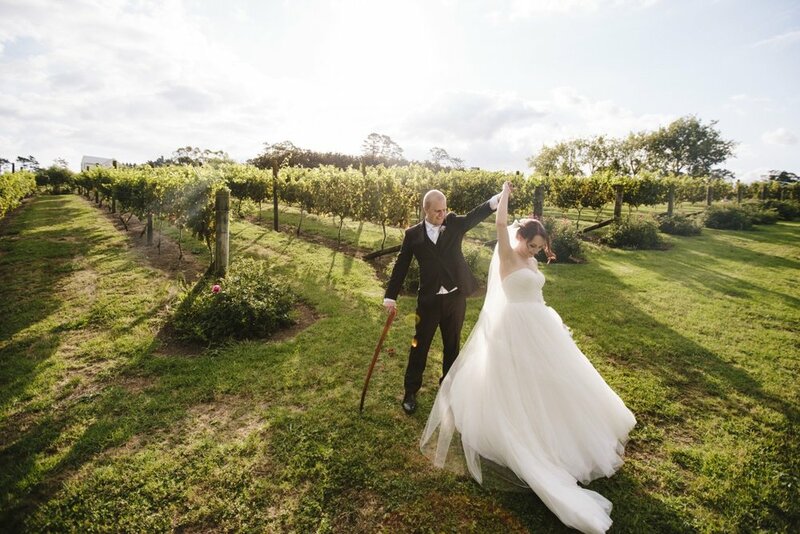 Celebrant: Our friend Matthew Lawrence had recently become a celebrant for his friend’s wedding and we thought we’d jump on board and have him do ours too! It was nice to have someone we knew and trusted up there with us rather than a stranger. It made everything feel a lot more personal. Cake: Felicity from the Sweet Eatery made our cake and macarons for the favours. All gluten free and amazing! She did an amazing job! For our “tastings” she sent me home with a box of 5 mini cakes and assorted containers of sauces and icings to let us find a combination that worked for us. That was awesome and not something I’ve ever heard of before.